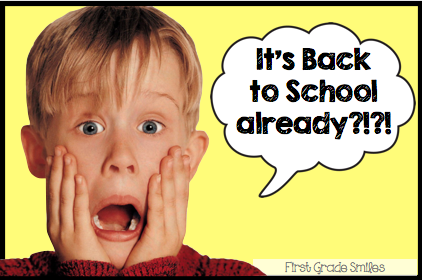 Back to School is coming!!! I know - it's a scary thought reality!!!! I'm sorry to even say the words......Back to School. But let's be honest. It's not that far away now, and closer for some than for others. So let's start thinking about how we can prepare. I don't know about you, but I have been stalking Target, Hobby Lobby and a few other places all summer long looking for the best deals and the cutest little bins, buckets, and supplies. Why, oh why, do we teachers spend so much dang money on our classrooms (and have so much fun doing it!?!). We buy cutesy new things for our classrooms and spend our money on supplies because we love to see the looks on the faces of our little ones when they walk through the door and see their new HOME! It's one of the many reasons why we love teaching so much. As much as we all dread the end of another summer and the freedom we get with it, we also secretly love the excitement of the first day of school. Come on - admit it - you feel the same way too. If there ever comes a time when I don't feel that way, then that should be when I retire. I say retire because I am positive it will not be happening for a LONG time, if ever. I feel like I'm going to be one of those lovely, older, experienced teachers who doesn't want to retire and has to be kicked out. I'll have to dragged out kicking and screaming - dragging my chevron and polka dotted decorations behind me! So back to how we can prepare for going back to school. I don't actually go back until after Labor Day (I'm sorry if that makes you hate me right now, but you get out earlier I'm sure =) I will definitely be posting pictures of my classroom when I actually get around to organizing and decorating it. I also have to find room for all of this stuff... (remember I mentioned I had been shopping just a teeny bit). I have been thinking A LOT about what I plan on doing those first few weeks of school. 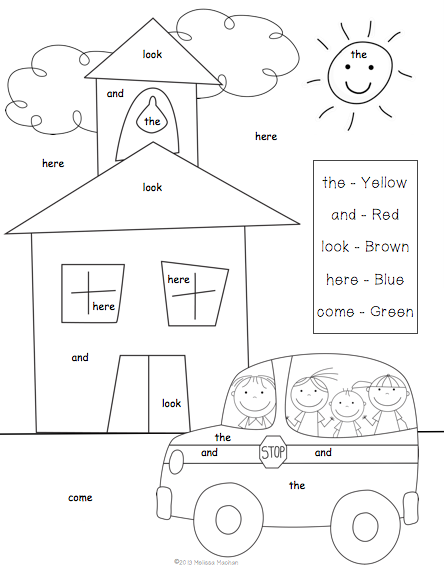 This will only be my 2nd year teaching 1st grade. It is my 12th year teaching, but I taught 3rd and 4th grades for 10 years. Last year I was in survival mode with the implementation of Common Core, all the changes with teacher evaluation, and being my first year in a new grade level. It was fun, but I have so many ideas for what I want to do differently this year. But before I talk about all of the things I plan to change (that will have to be another post), I have to get through the first week of school. Yikes!! So here are a few ideas I've been throwing around for that first week. I will start with some things from my Welcome Back Pack. 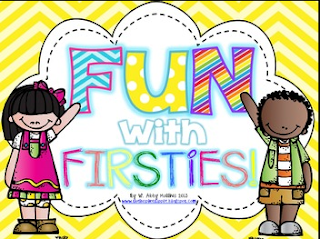 I've always loved reading First Day Jitters by Julie Dannenburg on the first day of school and I also found First Grade Jitters by Robert Quackenbush - how perfect is that? I will start with this First Day Feelings survey and class graph after reading one or both of those books. The picture of the graph is just an example to show what it might look like. 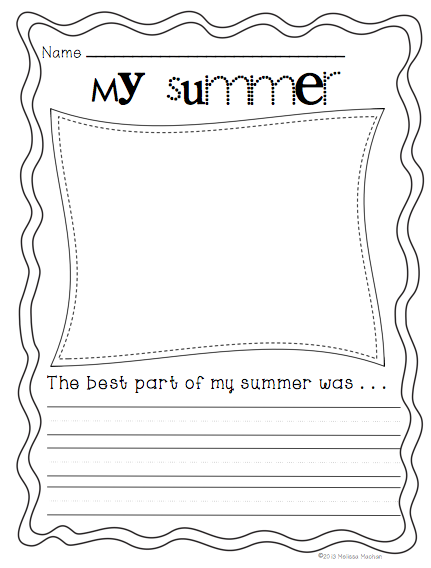 We will compare our summer with school like this example from First Grade Honeybunch. 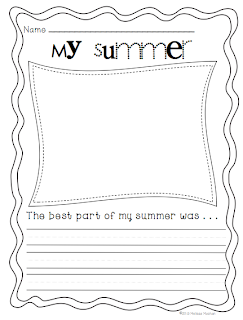 We will reminisce about our summers *tear* with a little summer writing (which is really my teacher way of getting a quick writing sample to see where they are at). Next, we're going to need to break up the sitting, because I don't know if you know this or not, but kids (and adults too) who are just coming back to school after a summer vacation are not so good at sitting for long periods of time and their attention spans are mere minutes at best. So it is extremely necessary to plan for multiple breaks in the day. 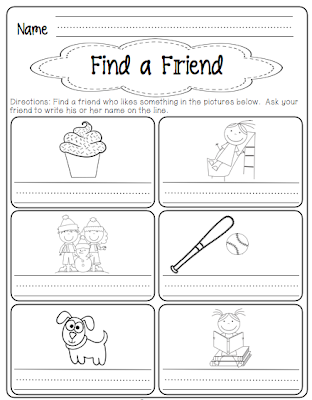 My Find a Friend activities will give us that opportunity to get up and walk around. 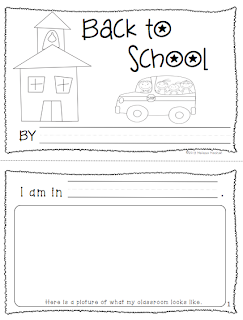 These are perfect for any student because there is no reading involved - just pictures. 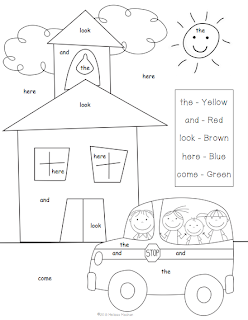 I would introduce this by going through the pictures and pointing out what they are and what they might think of when they see them (a little inferencing on the first day of school - take that Common Core!) Then they walk around and get other kids to sign their names next to a picture they like. When we come back together to share I have students share what they picked and why. For example, I might pick the dog and say that I have a black lab named Molly and tell a little about her. There are 4 different versions of this so I can do 1 each day to get up and moving. The next thing that I think we probably all do is some getting to know you activities or All About Me. 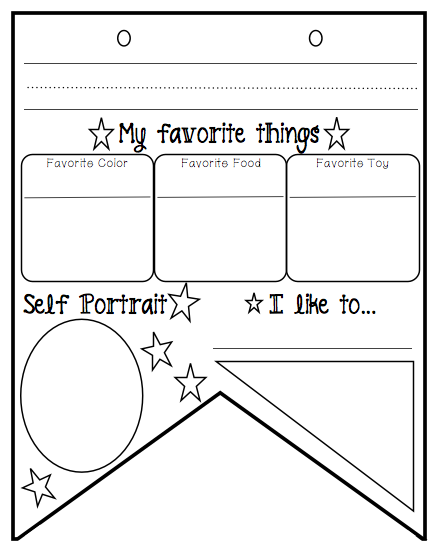 I created an All About Me banner that will be perfect to hang up in the hallway or on a bulletin board. 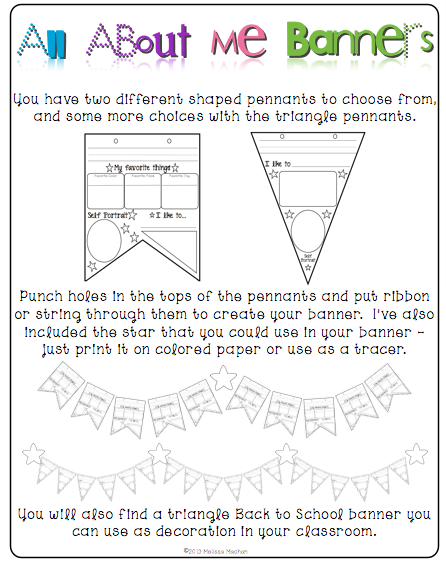 So excited to do these this year! There are a couple variations to choose from. 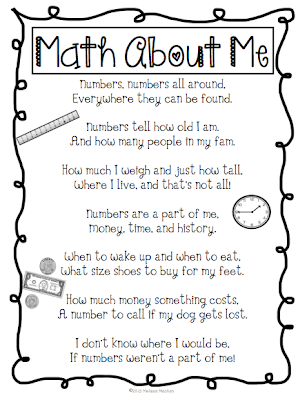 I also have this super cute Math About Me craftivity that I like to do with the kids. 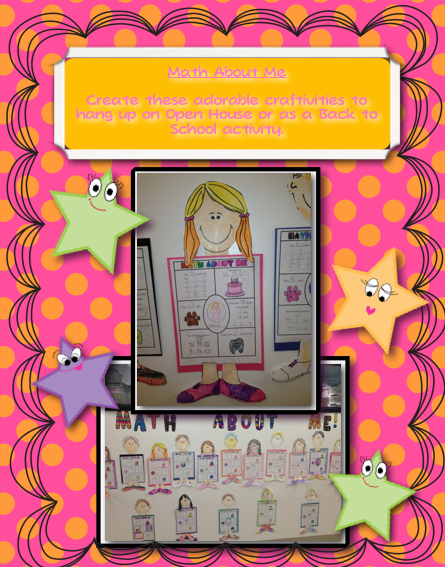 We discuss how math and numbers are everywhere and how we can even describe ourselves using numbers. 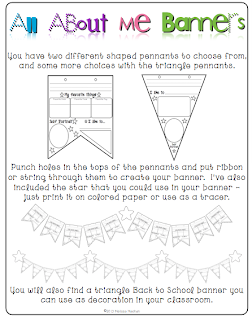 The craftivity above is a freebie in my TpT Store, but I also just wrote a poem to go with it. You can download the poem HERE if you'd like it. 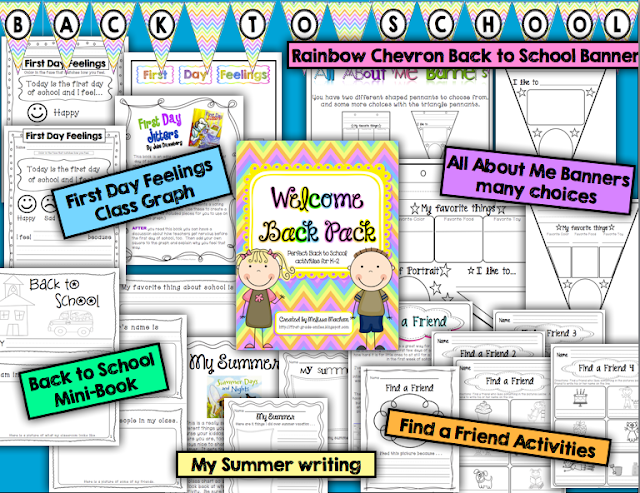 To finish off my pack, I also have included a Back to School interactive mini-book and some printables/coloring pages to fill time or use as morning work. In addition to all this FUN, I also need to take care of some business. That business will be ROUTINES, ROUTINES, ROUTINES!!!! 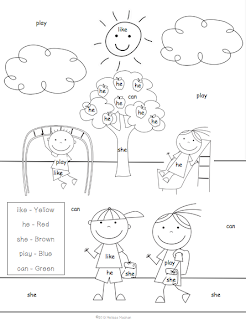 I will be modeling like a crazy woman and pointing out when students are following rules. I will be positive and upbeat, but when needed we will stop what we are doing and go back to the carpet to review a routine or a rule. 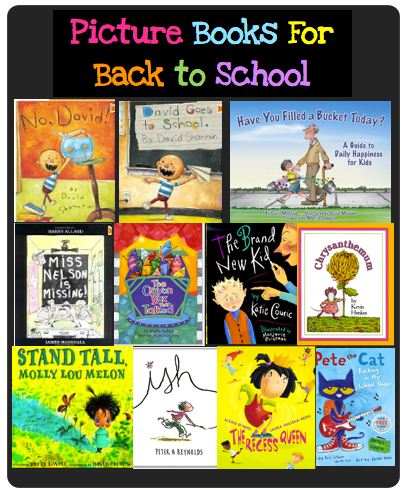 Here are a bunch of books I plan on reading those first few days as we discuss rules and routines and make anchor charts. I don't have any formal plans for these yet, but I am working on a few things to go along with some of these books, and others will be just discussions and connections. 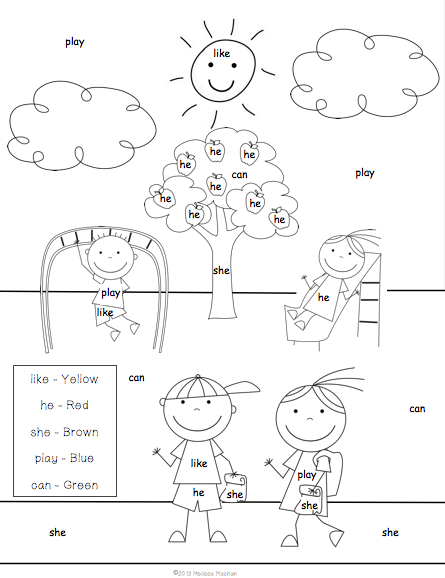 We will work through our class rules that first week (more to come in a later post on that) and more routines. Click HERE to go to part 2 of this post - I Survived the First Week - Now What? Some more freebies and a chance to win!!! 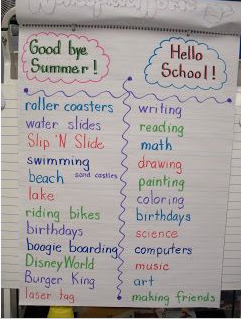 This post TOTALLY sums up my feelings about back to school! In the past 48 hours I went to FOUR different Target's to get the 99 cent binders in the colors I wanted for my class... only to find out they are getting a new shipment tomorrow, haha! Gotta love scamming for back to school deals! 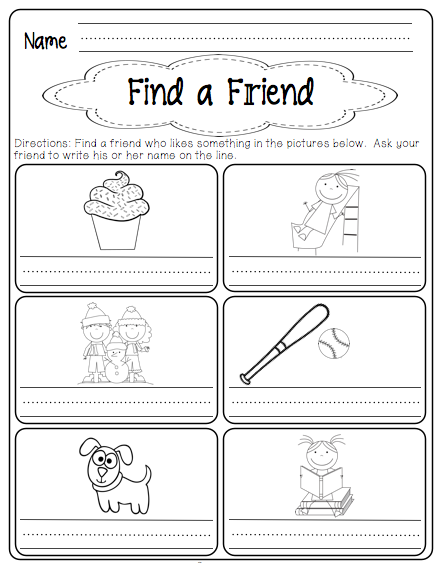 Thanks so much for sharing your ideas - I especially love the Find a Friend - already plan to share it with my colleagues! 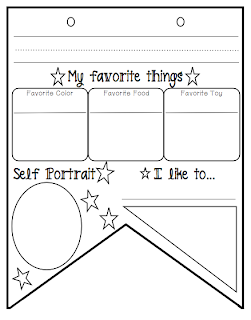 I have been teaching first grade for 6 years, but I am starting Readers Workshop this year so I am enjoying all the supporting ideas on Pinterest. Great ideas! I'm moving from seven years in 5th and 6th grade to first and I couldn't be more excited! I'll definitely be following you! Any advice you give me would be appreciated! I know this post is a little old but I just read it and it is me totally. I taught 3rd and 4th grade for 15 years. 2 days before school started last year I was moved to first grade and moved rooms. I can totally relate. 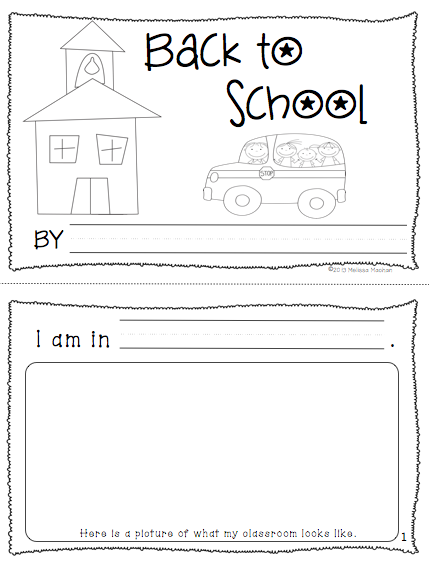 Going into my second year in 1st grade. Love it and your site. 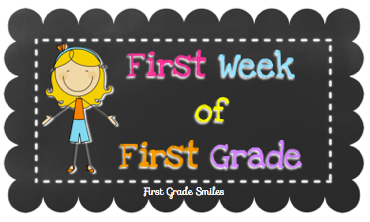 First Week is Over - Now What?